An anonymous man in his 20s who lives in Rome will soon receive a new hand, and for the first time in the world his bionic hand will be able to feel the things that it touches. The hand will be wired to the man’s nervous system, in hopes that he will be able to control its movements by receiving signals from his skin cells, and that he in turn will be able to receive signals from the hand’s touch sensors. The hand promises to restore the sense of touch to people who have lost limbs, and it represents a major breakthrough in the world of prosthetics. 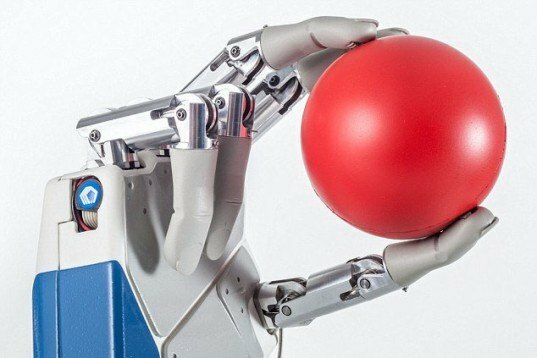 Read more: World's First Bionic Hand With a Sense of Touch is Set to Be Transplanted | Inhabitat – Sustainable Design Innovation, Eco Architecture, Green Building.